Kaliya (Petals) Mathri is a delicious deep fried savoury snack made from layers of dough and fried to crispy and golden pink colour. 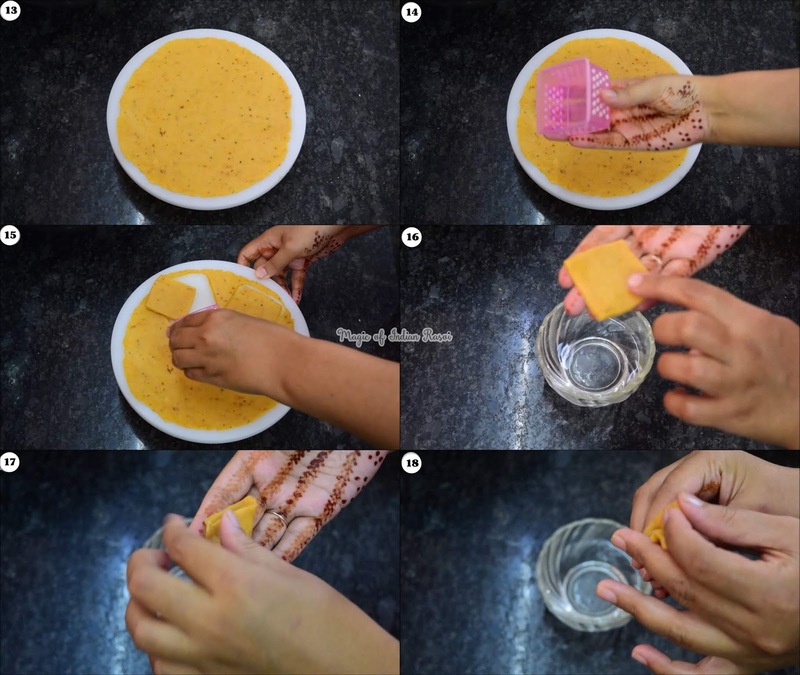 You can make this mathri all year round but this is specially made during Diwali festival. 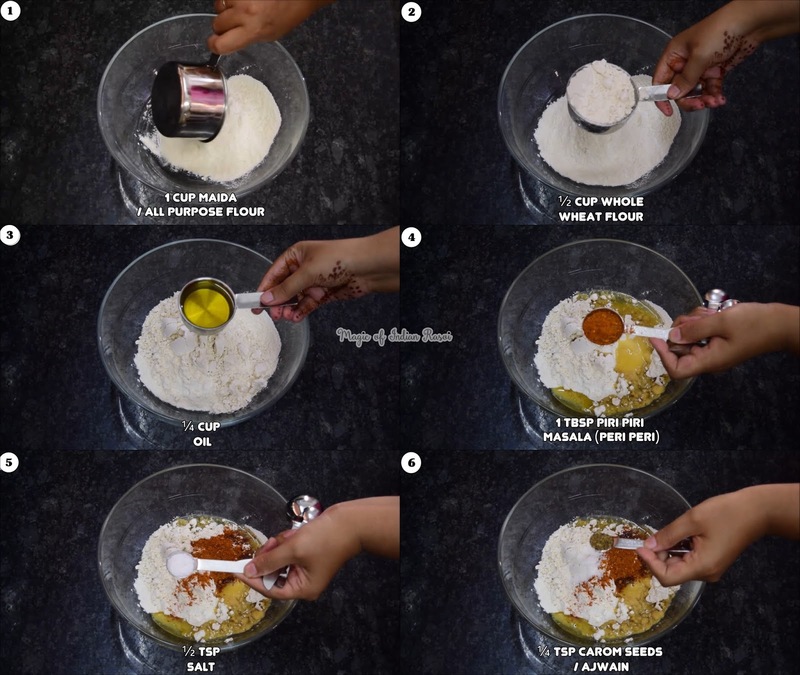 It is has a different flavor from regular Mathri as Piri Piri (or Peri Peri) spice mix is used. Made from all purpose flour, ghee/oil, and spices these tastes best with a cup of tea. They are fried slowly in hot oil to give it a crispy and melt in mouth texture. Do try this kaliya mathri this festival season. 1. In a big bow mix maida, oil, salt, piri piri masala & ajwain. 2. Use Water to knead in to stiff dough. Cover and keep aside for 20-30 min. 3. After 30 min knead the dough for 1-2 min and divide into 4 equal size balls. 4. 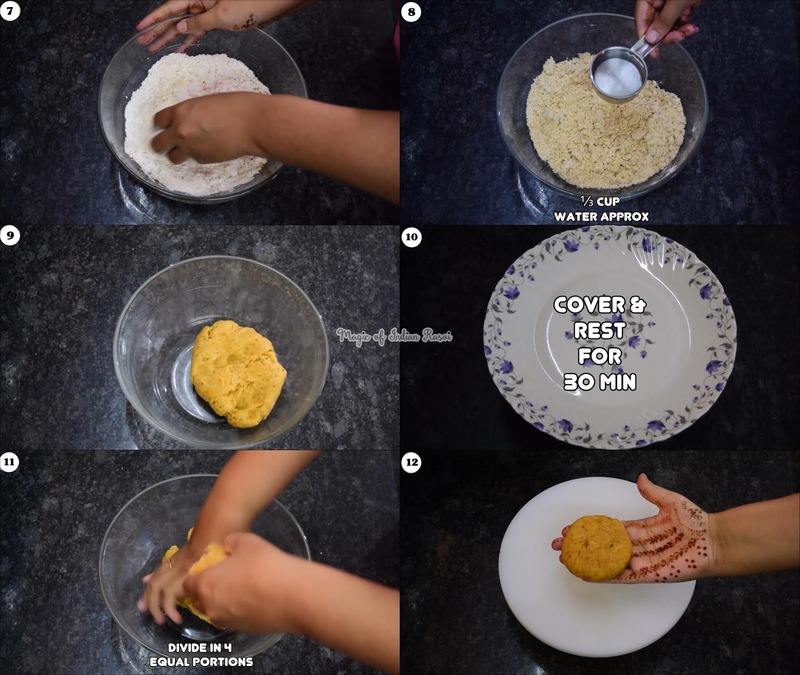 Using a rolling pin roll the balls in to a thin Roti shape. 5. Using a square stencil or box cut Mathri into square pieces. Alternatively you can use knife to cut it into square pieces. 6. Take a square piece and apply water on opposite edges and pinch them together. 7. Turn the mathri other side and place a finger in the centre. Apply water on other two sides and pinch them together to form a petal shape. Repeat this for all mathris. 8. Deep fry in hot oil in about 2 batches. 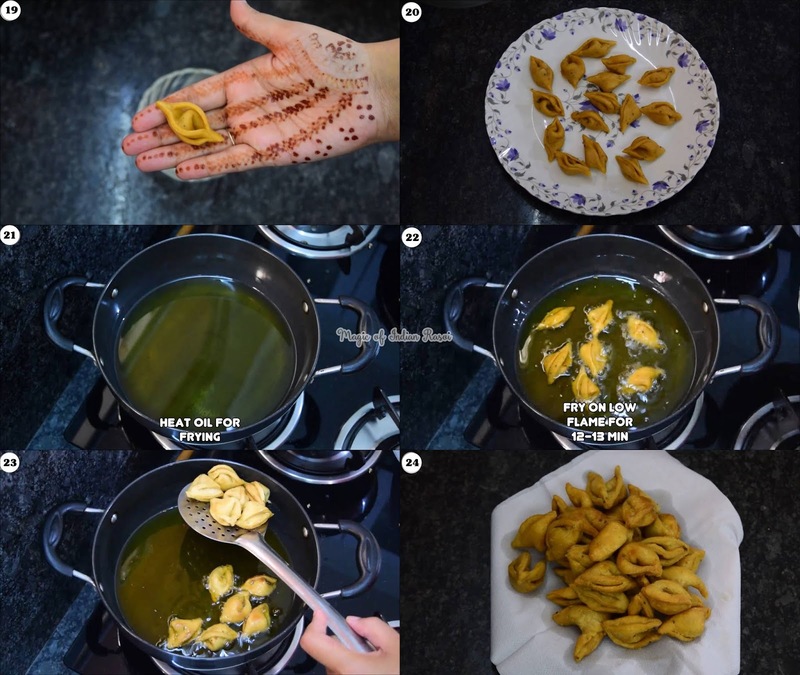 When putting the Mathri in Hot Oil keep the flame on medium and then reduce to low flame. Fry Mathri on low flame for 12-13 min till golden. Do not use medium or high flame as Mathri will remain uncooked from inside. It should be cooked slowly to cook from inside. 7. Take out Mathris on paper napkin and cool completely. Repeat step for frying rest of Mathris. 8. Once completely cooled store Mathris in Air Tight Container. It can be stored for 15 days. Ensure that the container is free from moisture to retain the crispiness of the Mathris. 9. Serve Mathris during Festival time or have it with tea as snack! ENJOY!